Morecambe have added to their attacking options with the signing of Aaron Collins. The 21-year-old Welshman has joined the Shrimps until the end of the season after being released by Premier League side Wolves. He will offer another option out wide alongside Kevin Ellison, Piero Mingoia and Rhys Oates. 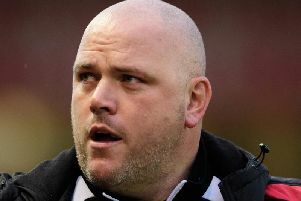 Shrimps’ boss Jim Bentley said: “Aaron will give us another option in the forward positions. “Whenever we have seen him play he’s always impressed us. “He’s mobile, likes to get at defenders and has decent experience of this level already. Collins started life at Newport and made his first team debut aged just 17 before Wolves signed him in January 2016. However, he failed to make an appearance for the club and was loaned out to Notts County, Tranmere Rovers, Maidstone United, Newport and Colchester United. He has figured against the Shrimps this season, having been a second-half substitute in Colchester’s win at the Globe Arena in October.